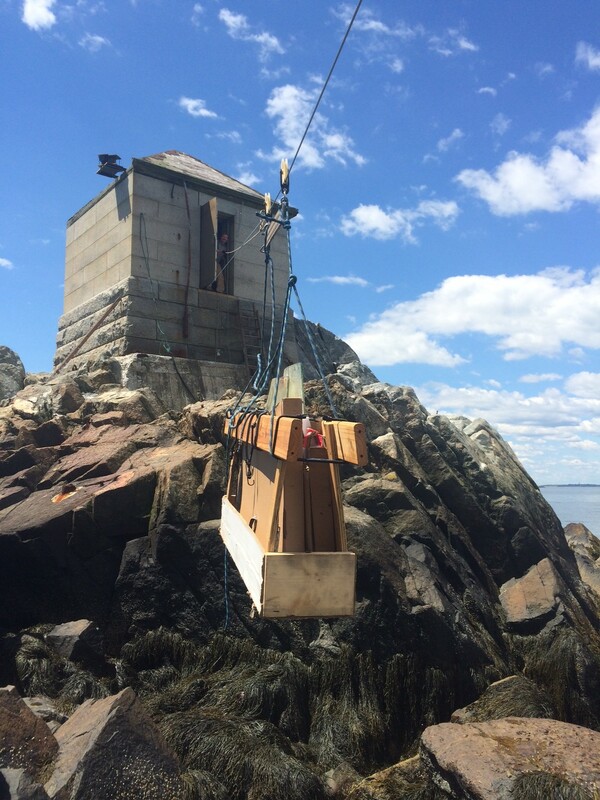 The first load of original 1903 lantern glass is returned to the lighthouse by a 100-foot zip line. The perfect weather coupled with our hearty all-volunteer team enabled us to recover the original lighthouse lantern glass. 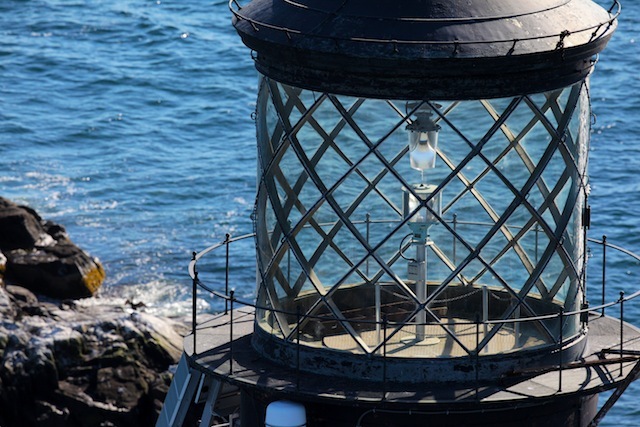 Decades ago, when the lighthouse was being renovated, the Coast Guard thoughtfully stored the historic glass away in the oil house. 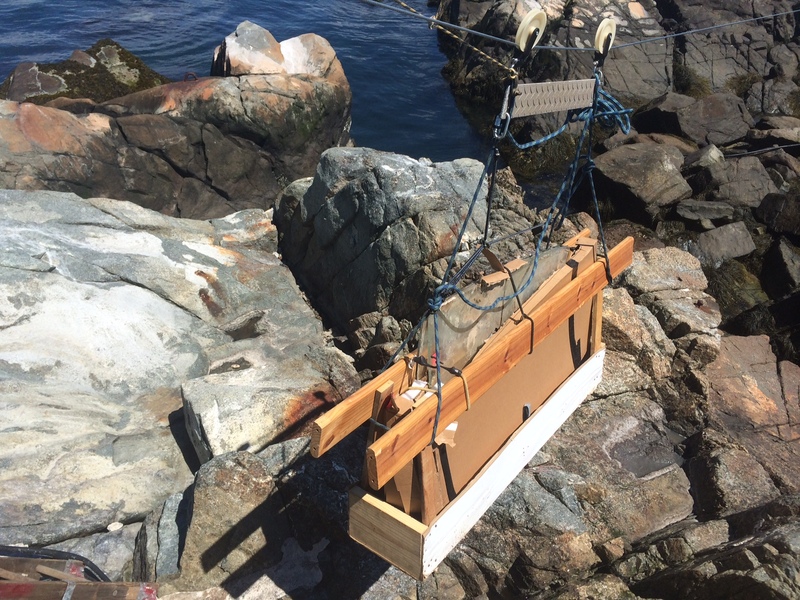 But to safely recover the heavy plate glass, we needed to build a 100 foot heavy-duty zip line over the treacherous rocks. Fingers crossed as the first load is away! We even recovered the rest of the original oak and brass casement windows from the tower. Big shout out to Jack, Diana, Wes and Lonnie. Moving the priceless original glass was a complete success. Decades ago, the Coast Guard had carefully stored the glass for safekeeping in the oil house. 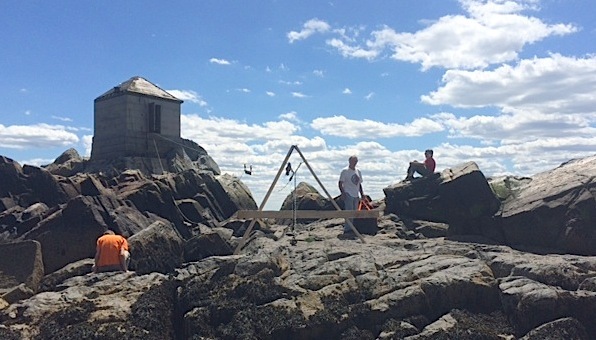 Our volunteer crew takes a well deserved rest on the ledge, and does a little exploring as the tide starts to rise. The plate glass we recovered were spares to replace the huge, curved panes in the lamp room. Tagged glass, restoration, restore, windows. Amazing and thank you for sharing!